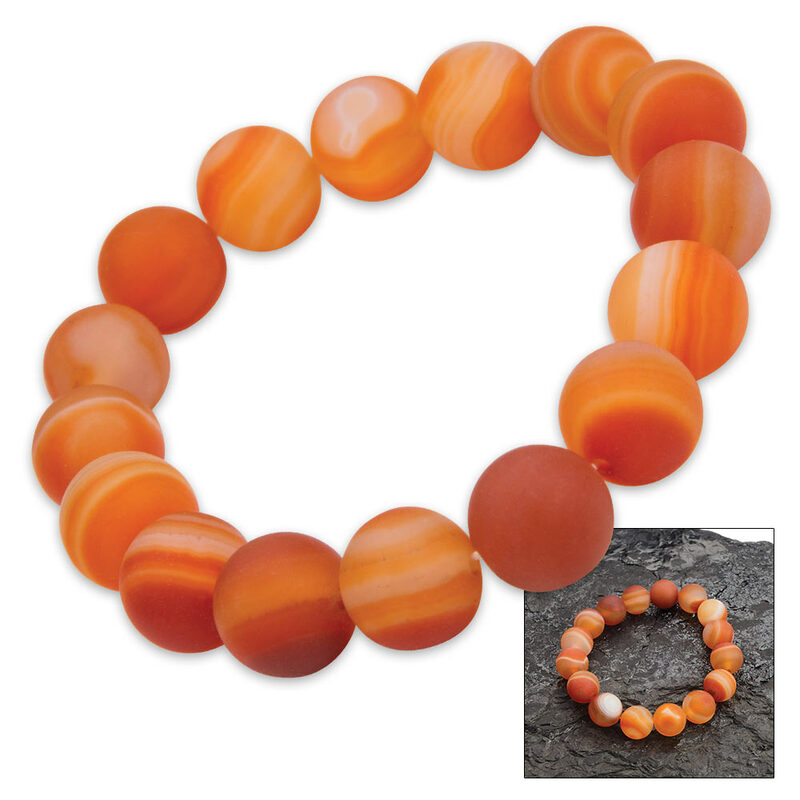 Red Banded Agate Stone Bracelet | BUDK.com - Knives & Swords At The Lowest Prices! Revered for its beauty and spiritual properties since ancient times, red banded agate is said to assist in increasing your physical energy and strengthening your consciousness, thus bringing peace and calmness to you. 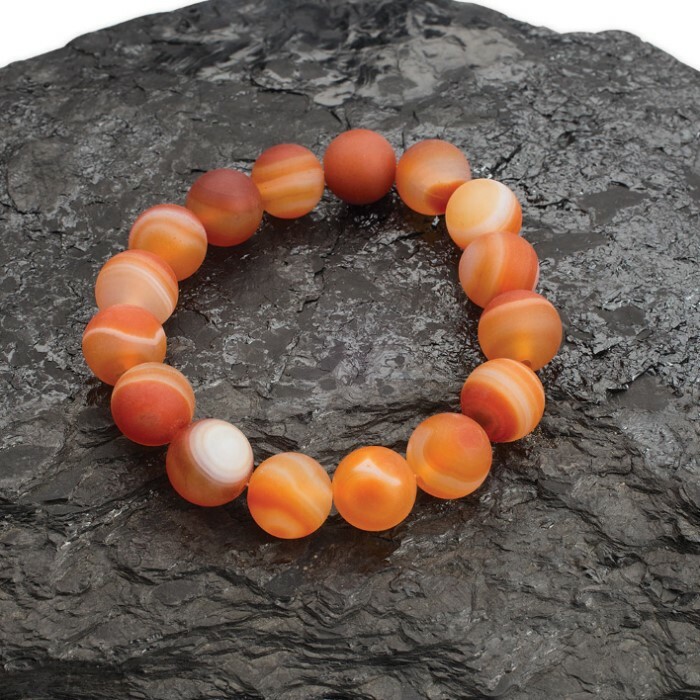 Perfectly cut from volcanic rock and then polished to a beautiful shine, our red banded agate beads have been strung to form a bracelet that is both a handsome and powerful piece of jewelry to own and wear.